Why national museums and archives are so important. Traditionally, a museum’s role is the housing and protection of cultural and heritage material; preservation and conservation of artifacts of historical or religious value and sentiment; the research and scholarly work associated with those artifacts and public education on and enjoyment of them. While the Turks & Caicos Islands has a branch of the National Museum on Grand Turk which is beloved by residents and visitors, there is a need to go further in pursuit of the protection and monitoring of the country’s history, culture and heritage, as well as its religious traditions. We need a National Museum in Providenciales! 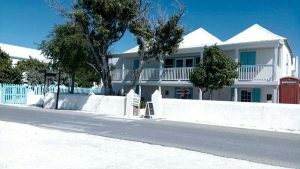 The TCI National Museum on Grand Turk has served the country for decades. Usually by law, a museum is the gatekeeper of all artifacts deemed in need of protection, preservation, conservation, study, exploration and excavation. It is the guiding body that monitors and regulates any investigation or census of a nation’s cultural property and historical or archaeological sites. Since their inception, museums have been guardians of the story of humanity, its survival and its evolution. National museums and archives can be justified and explained to others by first speaking to their hearts, then addressing the more “rational” issues. Following are reasons why they are important. A national archive provides a resource for personal research and family history discovery. For instance, anyone attempting to locate family members with whom they had no had contact during their lifetime could request records from adoption files and school censuses. This could make it possible for a confidential intermediary to contact and reunite family members with siblings. People seeking information on the health history of previous generations can review records, letters and photographs that may provide important medical insights on diagnosis and treatment of conditions. For years national governments have gathered data that has substantive value to researchers trying to improve quality of life. National archival records have helped researchers and reformers tackle topics as diverse as welfare, epidemiology, criminal justice, education reform, migration and immigration and environmental affairs. A national archive provides a laboratory for people to understand the human experience. It is possible for biologists to reintroduce native flora and fauna that have been wiped out by disease or invasion of other species. One key to success is planting trees where they are most likely to thrive. To find such places, a biologist would use records, such as old maps, to determine where the tree had originally flourished. A national archive can help prepare responsible citizens of the future. Schools can use digitized information as educational resources for their classes to support the core curriculum and for document-based questions on state standardized tests. In countries where there is a limited amount of details about the region in history books, having a national archive encourages students to delve into the professional papers of their political and civic leaders to uncover details about events or people. The students who conduct research into the primary documents of an island’s history begin asking more questions about history and current issues. A national archive would directly impact the exchange of cultural ideas between participating countries, scholars and scientists. Such exchanges often have a positive social effect, as museums have always been an open forum for different nationalities to meet, discuss and share their values. This sharing would result in broadening not only the mental scope of tourists travelling for business or pleasure but would improve international co-operation among participating nations. At the grassroots level, cultural exchanges enhance people’s appreciation and understanding of cultures other than their own, giving them a chance to embrace both similarities and differences. Private sector-led development can provide a conducive environment for profitable investment opportunities in the tourism sector via a national museum. Many communities can benefit from public/private sector-led enhancements such as farm-to-table projects, crafts and specialty businesses and the necessary infrastructure needed to facilitate the ease of doing business, driving revitalization of the economy. Museums are an income-generator for the communities in which they exist. This is seen in the industries that spring up around them, such as small scale accommodations, restaurants, local transportation, local guides, good roads, electricity etc. This enhances and develops social life within the community. 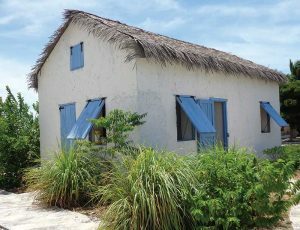 The Caicos Heritage House acts as a touchpoint to the TCI’s rich cultural history. The National Museum can be the vehicle that resuscitates and preserves the fading heritage and culture of the Turks & Caicos Islands. This has direct consequences on improvements of any tourist destination, be it improvement of living conditions, development of craft industries, enhancement of infrastructure and architecture—the very things that give form and shape to cities throughout the centuries. The uniqueness and technological skills of the past help to re-establish relevance with events like the annual “Back in The Days” Festival. There are very real threats to the TCI’s cultural heritage in the form of natural and man-made disasters like hurricanes, floods and fire, most recently evidenced by the destruction of Hurricanes Irma and Maria, and the library fire on Grand Turk. Museums have always been in the forefront when it comes to identifying a unique cultural heritage expressed in the forms of festivals, colours, art, music, dances, literature, monuments and religious traditions. A national museum has the potential to create very specialized jobs for the economy, and could contribute to a community’s social and night life in a positive way. A national museum is the storehouse of incredible things that are both naturally occurring and man-made, as well as the cultural soul of a nation. By holding the cultural wealth of the nation in trust for all generations, it becomes the cultural conscience of the nation.